Whether it’s an escape from a stressed out wife or whiney brother, a shed can be the ideal retreat to just get away from it all, offering peace, quiet and the odd hidden beer! Give a gardening lover something they’ll enjoy and laugh with, with this gardening inspired boxed mug. This mug is white in colour and features the instructions ‘To do: 1. 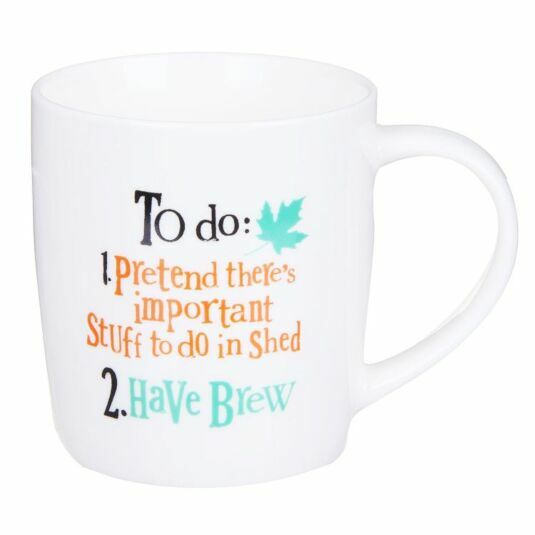 Pretend there’s important stuff to do in shed, 2. Have Brew’ on the front, whilst the rear of the mug houses a black leaf, with the words ‘The Happy Gardener’ printed in a green font inside. 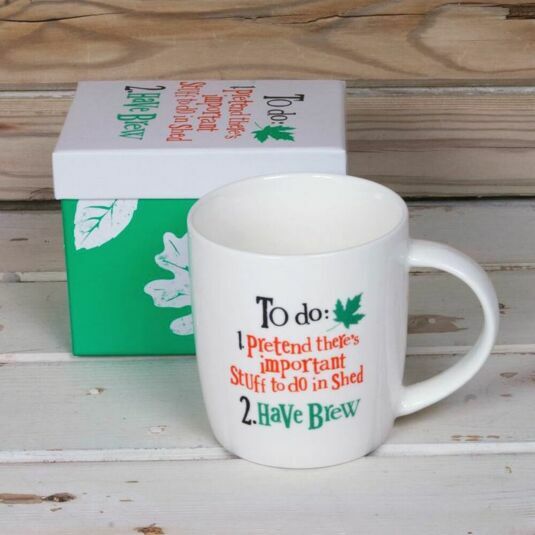 This mug is beautifully presented in a green, leaf patterned gift box, with the words found on the front of the mug repeated on the box itself. This new bone china mug is both microwave and dishwasher safe for your green fingered gardener to make an array of hot or cold drinks within! 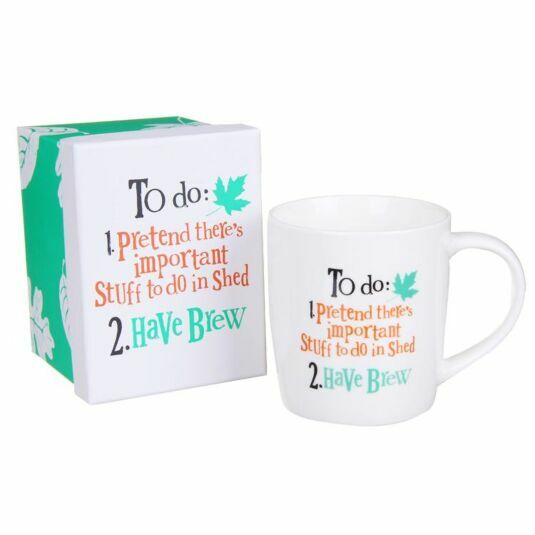 Show your friend or loved one how special they are to you in a comical way with this Bright Side Shed Boxed Mug.